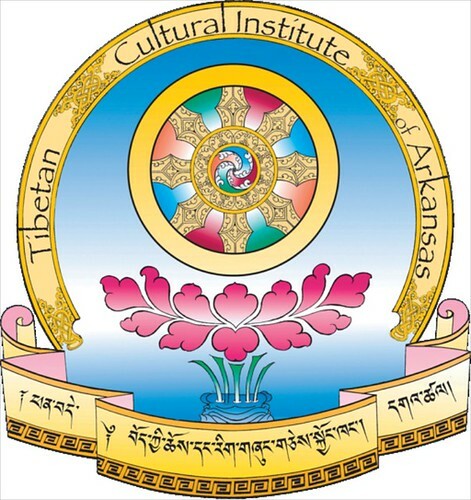 Note to my readers: I'm an English professor, and co-founder and co-director, along with Geshe Dorjee, of the Tibetan Cultural Institute of Arkansas. I discovered the Asian spiritual tradition in a drug store in a small town in Virginia a long time ago when I bought a paperback primer on Hinduism because it had a cool picture of Shiva on the cover. I was maybe 12 years old. The book made so much sense to me that I told my parents at dinner one night that I was probably Hindu. They said, "OK, pass the salt." Which is exactly what they should've said. So now I'm passing the salt to you. Here you will find an intersection of concerns: I'm involved in the gun-violence prevention (GVP) movement, and my understanding of the Tibetan Buddhist teachings have fashioned and shaped my work within that movement. I haven't always written about this intersection, but I will do so here. I believe it's important that the fundamental Buddhist teachings, the ones that I understand, move into the public arena of social engagement. The more purely political aspects of the GVP movement I address at my other blog, Gunsense. Please visit me there too. Because I've learned a lot from the Tibetan tradition, and because the Tibetan people are mired now in a struggle for independence, it's hard to talk about the Tibetans without eventually getting into the politics of an oppressed people. When I want to talk about those things, I'll post over at our partner blog, TIBETSPACE. I hope to see you there as well. It helps to know something about where you're going before you go there, right? With that in mind, let me offer a couple of general observations about the 7-Point Mind Training that are more concerned with the nature of the overall trip than they are with the individual hardships and pleasures you might encounter along the way. I've got seven points to make. This is a life-time practice, and you ought to approach it in that spirit. Keep your expectations in check, and focus on doing a little bit on a daily basis over the long haul. The seven points have been designed so that, day-by-day, they reveal new facets, deeper insights, and ongoing challenges. But to appreciate the depth and breadth of these teachings you'll need patience, the third of the six paramitas. Cultivate patience, and these teachings will blossom. The seven points are basically seven thematic categories under which a number of instructional statements appear. While it is important to understand the purpose of each of the seven categories, they aren't difficult. The supporting slogans for each of the seven points will challenge you enough; don't get hung up on the seven points. Don't be intimidated by the seven points. Here's a summary of them; have a look at them, and you'll see that they are really nothing more than a kind of cosmic common sense. The Preliminaries—The first point encourages you to appreciate the immense opportunity you have now for spiritual progress. It is always important to remember this, but particularly when your motivation is low. A Synthesis of Practice for One Life—You have here five qualities or practices that are central to making progress on this path. I can't resist the athletic analogy. If jumping, running, passing, dribbling, and rebounding are five skills essential to master to become better at basketball, then resolution, familiarization, the white seed, abandonment, and prayer are going to help you improve at taking apart self-cherishing, understanding emptiness, and developing concern for others. It's that simple. And that demanding! The Measure of Having Trained the Mind—Having gotten this far, having undertaken what you've undertaken, you need to know how you're doing, right? Problem is there's no exam you can take, and finally, no master, no teacher, no guru can undertake the assessment that you want. You have to do it yourself, and this section tells you how to do it, what to look out for, and what to avoid. You need to do this regularly, but you need not—must not!—become obsessed with it. The Pledges of Mind Training—Wallace urges us to think of the sayings or principles gathered here as prescriptions given to us by a compassionate doctor, and that works well enough. But I've always thought of them as a set of qualities that you will find in those who are devoted to this path. One of the greatest teachers I see in India, Geshe Wangchen, embodies all of these characteristics—he is very natural in his speech, never maligns anything, seems utterly satisfied wherever he is, looks no further than the massive enjoyments folded into the present moment, seems always focused on those who are currently in his company, and most of all, seems completely comfortable at all times with who he is in the world—a highly accomplished practitioner living in relative obscurity in south India! These pledges, then, to me, are rather characteristics that will manifest if we've undertaken Points 1-5 with seriousness and integrity. The Practices of Mind Training—So many points, so little time to master them! Not to worry. This is the final grouping of things to keep in mind, and I use them as a kind of refresher course for lojong in general. But remember: everything returns to three things: 1) developing absolute bodhichitta (understanding emptiness as best we can); 2) practicing relative bodhichitta (understanding the place of compassion in our own lives); 3) and slowly, gradually, steadily, and as a result of becoming familiar with the first two, dismantling self-cherishing, the root of every single hardship that we encounter. You have to take control of your own practice, your own lo-jong. Remember this: Atisha was not dealing with a text; he was dealing with a set of oral recommendations that he had received in Sumatra from a revered master, and his students later codified them, set them down in language, which gave them a sense of fixity and inflexibility they probably did not originally possess. The take-home message? You need to figure out where you need the most work, and you do this by considering these teachings honestly, and over time, against your own spirit, and make the right call about the ideas and practices that are the most difficult for you, or the ones that you most need. And then work on those. Always return to the two bodhichittas, and to the notion of self-cherishing. How are these realities unfolding for you? For every single moment of your day, there is a relevant point under one of the seven categories of lojong that will open that moment and turn it toward your general understanding of reality—take that rather lofty statement on faith until you have grounds to accept it or reject it. Always remember how fortunate you are to have stumbled on this set of instructions. If you do this on a daily basis, you will find yourself protecting these instructions by embodying them and acting on them in a responsible fashion so that future generations will have access to a worthy representation of them. This is how they move; this is how they grow; this is how they prosper. You will seek help in understanding these teachings when the need arises, but finally you do this alone, point by point, in your own time, and according to your own, examined talents and capabilities. THE 7-POINT MIND TRAINING . . . WOW. It has been been some time since this site was active, but Geshe la told me that he was beginning Atisha's Seven-Point Mind Training in the Sunday meditation class, and he asked me if I might supply some occasional commentary. I leapt at the opportunity. Atisha's book is one of the central texts that has helped me to understand what little of Buddhism I do understand, and I have come to feel over the years that it is ideally suited to Americans--the only group of people for whom I feel comfortable speaking. I say "over the years"--every time I believe I can remember when I first read Atisha, I find another book on the shelf, another edition of the 7-Point Training, from further back in my past, and there in the margins are my annotations. So I don't really know when I first encountered these teachings, but they have become a mainstay in my own daily practice. I can't imagine ever exhausting them. But I envy all of you this—you're beginning these teachings for the first time under the skillful direction of Geshe Dorjee! How fortunate you are! First things first, though--before we begin any teaching like this one, it is good to know a little of the history behind the teacher. First, B. Alan Wallace. He was one of the first Westerners to go to Dharamsala in pursuit of the Tibetan teachings, and it nearly killed him (literally). But he stayed, he learned Tibetan, became a monk (for fourteen years), translated for the Dalai Lama, and has since been a major force in Tibetan Buddhism's presence in America and the West in general. He's written scores of things on Tibetan Buddhism, and this book that you're using is one of two he's done on the 7-point mind training. The other one is Buddhism with an Attitude. Second, Atisa. He was probably born around 980 CE and died in 1054 CE. Very much like the Buddha, Atisha was born into royalty, and early on exhibited great facility with learning in many fields. Deciding to pursue the spiritual life, he relinquished his kingdom and went through a succession of teachers, even traveling, it's recorded, for thirteen months on a ship, until he landed in Sumatra, where he found his principal teacher, Serlingpa, and from whom he learned the 7-point mind training. All biographies of Atisa state that whenever he mentioned the name 'Serlingpa,' tears filled his eyes. As far as the actual text is concerned, I'd like to note a couple of things. Make sure to read Wallace's introduction to your text. His commentary is superb, not only because he is a talented writer, but also because he speaks from experience, from the perspective of a Westerner who has grappled long, hard,and successfully with these powerful ideas and potent practices. His instruction is both theoretical and practical, and that is why he is an important force in American Buddhism. The 7-point mind training (lo-jong in Tibetan) was originally conceived and transmitted orally as a series of sayings, or pith instructions, as they're sometimes called, with each saying meant to suggest and call to mind a fairly extensive set of perceptions, ideas, and practices. Since these were originally oral transmissions, and still are in many instances, the saying or statement would have been explained by the teacher as it was introduced. Helpfully, Wallace has given us his own commentary here, and it is a compilation from several sources. We are first told to train in the preliminaries. There are four of them here: 1) the preciousness of human life; 2) death and impermanence; 3) actions and their results; 4) the unsatisfactory nature of the cycle of human existence. These preliminaries are fundamental to many Buddhist teachings; they are not unique to lo-jong, and you will occasionally see only three of them, or as many as six. But they are, in effect, the Tibetan version of a motivational speech, and it would not be difficult to spend a lifetime considering each one of them, slowly and thoroughly, observing how extensive their implications actually are. Taken one by one, considered at length, each of these preliminaries can gradually effect long-term changes in the way you view your life, your loved ones, your friends, your enemies, and the world at large. Ideally, the preliminaries bring to your life two things: 1) a sense of urgency, the real knowledge that you have an indeterminate amount of time left to make progress along this path; 2) a conviction that you currently have the necessary advantages that allow you to make the very most of the time that does remain to you in this life. And with these two forces working within you and through you, your motivation to practice becomes stronger. Most of us need this reenforcement on a daily basis. So take your time with each of the four. Read Wallace's commentary on each one, then settle your mind, and gently turn your attention to the first one, "the preciousness of human life." First of all, make certain that you understand what Wallace is saying. And then determine if you agree with him. If not, why not? If so, why? And then begin to explore your own relationship to this idea. What can you add to it? Just how far can you logically extend this idea of the preciousness of human life? Just how precious is this human life, after all? And not just your life, of course. It is essential to realize that however deeply you feel or locate the preciousness of your own life, so too does this preciousness reside in everyone else's life. Consider this at length. Focus on this idea, and be aware of the subtle transformations within you that this awareness occasions. The goal here is gradually, through this kind of discursive meditation, to move the idea of the 'preciousness of human life' from the realm of attractive ideas to a place in your heart from which intuitive action springs forth naturally. You are moving an idea from the head to the heart, so to speak, so that it can become the basis of meaningful action. It is a gradual process, but if we consider this first proposition thoroughly, we will gradually find ourselves living more and more with the conviction that our human life is, in fact, precious. And our behavior will reflect this conviction because the idea that we once found to be simply logical and compelling has now informed our spirits like oxygen, and we act according to its principles naturally and unaffectedly. We live in a new way. We have gradually broken the mistaken habit we had of living as if human life is, in fact, not precious. This is the purpose of lo-jong, to give us the tools we need to break the bad habits of thought that we have cultivated for unending lifetimes. But it is important to consider the four preliminaries on a daily basis, preferably before beginning your meditation session. You will find them to be inexhaustible, growing in importance and implication as your own understanding of them grows and matures. They can also become part of your hourly awareness, and at this level, they are most effective. Bring them to mind, consciously, before you watch a movie, during a meal, while talking to a friend, while driving in the car. Do this long enough, and you will begin to notice small changes occurring within you. This is the fundamental and operative principle of lo-jong—if we remind ourselves often of these four preliminaries, we will gradually transform our habits of perception to reflect more accurately the way the world is truly constituted. And with our perceptions reflecting more accurately the nature of reality, our lives will find a more peaceful rhythm. AM I MEDITATING OR NOT? THERAVADA, MAHAYANA, VAJRAYANA . . . O MY!